Works by Frank Ferko have been released on these labels: Harmonia Mundi, Hyperion, Spektral, Herald, Nederlands Kamerkoor, Cedille, Arsis, Raven, Gasparo, Pro Organo, Loft, reZound, Seattle Pro Musica, Notegun, New Art, Terpsichore, ZigZag, House of Hope, and Liturgical Press. ORA Singers, conducted by Suzi Digby, present choral works by Thomas Tallis alongside new works which are modern reflections on the Tallis pieces. The disc includes Frank Ferko's reflection on If Ye Love Me for unaccompanied mixed chorus. The Esoterics, conducted by Eric Banks present the first complete recording of all 16 motets by Frank Ferko based on texts by Hildegard von Bingen. A Festival of Lessons & Carols: The Northwest Boychoir and Vocalpoin! 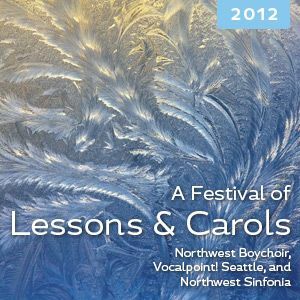 Seattle, conducted by Joseph Crnko, in a live recording of their annual Christmas Lessons & Carols concert which includes a performance of Adam Lay Ybounden for unaccompanied mixed chorus. 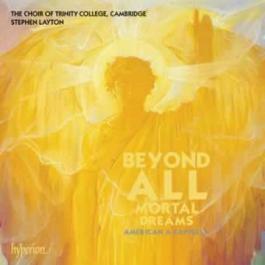 Beyond All Mortal Dreams: This GRAMMY-nominated recording by The Trinity College Choir, conducted by Stephen Layton, presents an extraordinary array of recent American choral music, which includes a performance of the complete Hildegard Triptych for unaccompanied double chorus. Stabat Mater: Seattle's award-winning chorus, Choral Arts, joined by soprano Juliana Rambaldi, and conducted by Robert Bode, in a live performance in the amazing acoustics of St. James Cathedral, Seattle. Lux beatissima includes a performance of "Hodie aperuit" from The Hildegard Motets for unaccompanied chorus, by the German ensemble, Kammerchor CONSTANT, conducted by Harald Jers. Night includes two choral works by Frank Ferko, Motet for Passion Sunday for unaccompanied chorus, and the first-ever recorded performance of Lord, Let At Last Thine Angels Come for mixed chorus and violoncello, performed by the Oxford-based chamber choir, Commotio, conducted by Matthew Berry. 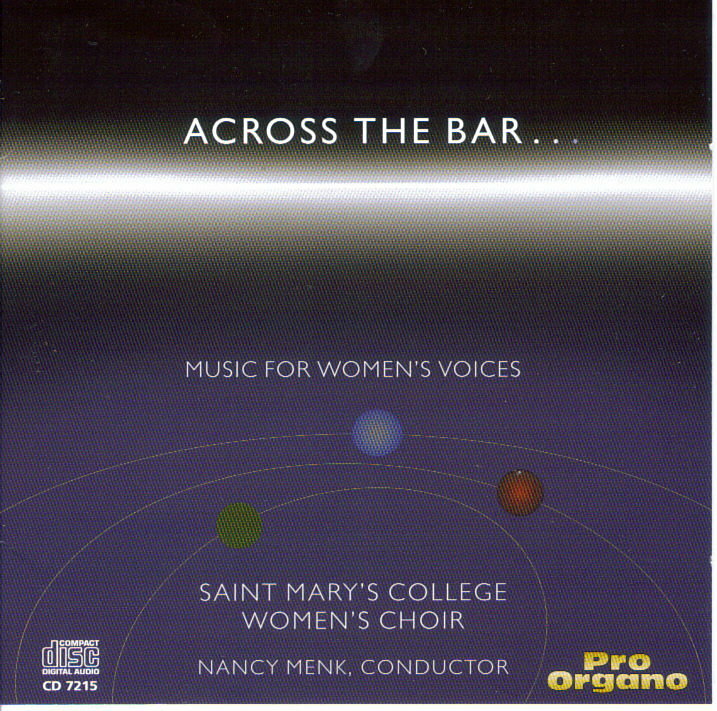 Across the Bar gives us the first-ever recorded performance of O salutaris hostia for unaccompanied women's voices, performed by the 40-voice Saint Mary's College Women's Choir, conducted by Nancy Menk. 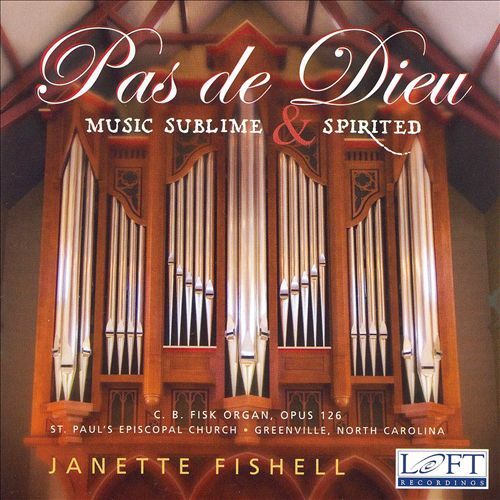 Pas de Dieu: Music Sublime and Spirited: Organist Janette Fishell performs a spectacular program on the impressive C.B. Fisk organ, Opus 126 at St. Paul's Episcopal Church, Greenville, NC. The program includes Frank Ferko's organ work, Livre d'Orgue. Commissioned for the 2006 National Convention of the American Guild of Organists and first performed by Dr. Fishell at the Convention, this work receives its first recorded performance here on a magnificent new instrument. Loft Recordings LRCD1082. 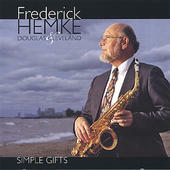 Simple Gifts: Saxophonist Frederick Hemke and organist Douglas Cleveland perform Frank Ferko's Nebulae, for alto saxophone and organ, recorded on the Aeolian-Skinner organ at the Alice Millar Chapel, Northwestern University. American A Cappella: Chicago's Bella Voce presents excerpts from live concerts in the 2004-2005 concert season, condcuted by Anne Heider. The CD includes Frank Ferko's motet "Nunc gaudeant" from The Hildegard Motets. Nederlands Kamerkoor in Concert: The world-renowned chamber choir presents excerpts from live concerts presented between 2003 and 2005. 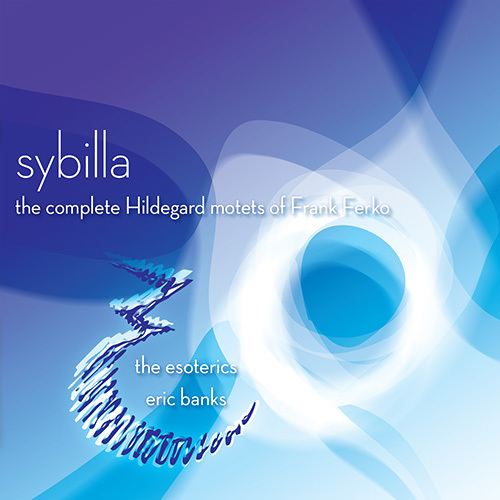 Included on this disc is the second movement from Frank Ferko's Hildegard Triptych, titled "Caritas abundat," recorded on January 22, 2004 at Beurs van Berlage in Amsterdam in a concert conducted by Stephen Layton. Christmas Holidays: Choral music for Christmas, performed by the highly acclaimed Vocal Arts Ensemble of Cincinnati, Elizabeth Motter, harp and Mark Ostoich, oboe, conducted by Earl Rivers, Music Director and Conductor. The disc includes movements 2 through 5 of A Festival of Carols for mixed chorus and harp. Pro Organo CD 7194. Millennium: New choral music performed by the South Bend Chamber Singers, with the Chester String Quartet and David Eicher, piano/organ, conducted by Nancy Menk. The disc includes Frank Ferko's Magnificat for mixed chorus and organ, commissioned by the South Bend Chamber Singers in 2001. Pro Organo CD 7162. Saxophone & Other Voices: Gail Levinsky performs a variety of recent works composed for the saxophone with piano, organ, electronics and voice. The disc includes Frank Ferko's Nebulae for alto saxophone and organ, a work which was commissed by Ms. Levinsky in 1997. I Loved Lucy: Music for flute and guitar, performed by Duologue (Susan Morris De Jong, flute, and Jeffrey Van, guitar). Every work on this disc was commissioned by and composed for Duologue. The disc includes Constellations by Frank Ferko. Gasparo Records GSCD 348. Alnight By the Rose: The Seattle Pro Musica, conducted by Karen P. Thomas, performs works by Hildegard von Bingen, Frank Ferko, Karen P. Thomas, Morten Lauridsen and others. The disc includes "O Verbum Patris," "O splendidissima gemma" and "Laus Trinitati" from The Hildegard Motets. Stabat Mater: An internationally acclaimed choral work by Frank Ferko recorded by His Majestie's Clerkes (now called Bella Voce) with soprano Nancy Gustafson, conducted by Anne Heider. Recorded on Cedille CDR 90000 051. Psalm Cantata: An eight-movement work for mixed chorus, children's chorus, soprano solo and two organs, performed by the Motet Choir, Choir School of The House of Hope Presbyterian Church, with organists Nancy Lancaster and DeeAnn Crossley, conducted by Thomas Lancaster. All Sky: New American Choral Works: The disc includes "O Verbum Patris" and "O vos angeli" from The Hildegard Motets, performed by the Ars Nova Singers, conducted by Thomas Edward Morgan. Visions of Eternity: Marcia Van Oyen performs a program of organ solo works, including Frank Ferko's Visions of Eternity on the Buzzard organ at Glenview Community Church in Glenview, Illinois. Raven compact disc OAR 570. Hildegard Organ Cycle: The 10-movement cycle, based on the visions of Hildegard von Bingen, performed by the composer on the Lively-Fulcher organ at St. Patrick's Church, Washington, DC. Arsis CD 101. Motets: The Hildegard Motets and Six Marian Motets: Performed by the American Repertory Singers, conducted by Leo Nestor at St. Patrick's Church, Washington, DC. Arsis CD 102. For Two to Play: Works for organ duet, including Chant des Étoiles by Frank Ferko. Recorded on the Fritts-Richards organ at St. Alphonsus Church, Seattle. Arsis CD 104. 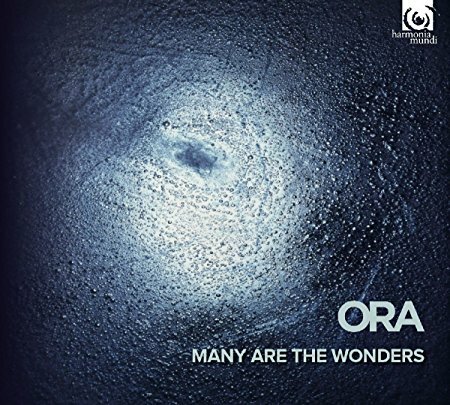 Sounding Joy: Sacred choral works by various composers, including three motets by Frank Ferko: O Gracious Light (Phos hilaron), I Was Glad, and I Will Give Thanks, performed by the American Repertory Singers and Jay Rader, organist, conducted by Leo Nestor. Recorded at St. Patrick's Church, Washington, DC. Arsis CD 105. A collection of Lent music, including Ferko's Motet for Passion Sunday performed by the Schola Cantorum of St. Peter's Church in the Loop, Chicago, conducted by J. Michael Thompson. A collection of Christmas carols, including three Ferko settings of Slovak carols: "On This Day of Gladsome Joy" (no. 7), "Shepherds of Bethlehem" (no. 12), and "While Mary Rocks Her Child" (no. 17), performed by the Schola Cantorum of St. Peter's Church in the Loop, Chicago, conducted by J. Michael Thompson. A collection of Marian choral works including four of the Six Marian Motets, ("Motet for the Nativity of the Mother of God," "Motet for the Annunciation," "Motet for Mary, Mother of God," and "Motet for the Dormition of the Mother of God," performed by the Schola Cantorum of St. Peter's Church in the Loop, Chicago, conducted by J. Michael Thompson, and recorded for compact disc at the Ukrainian Cathedral of St. Nicholas in Chicago. A collection of choral pieces by various composers, including two Ferko settings of Irish Christmas carols, for tenor solo, mixed choir, flute, harp and violoncello, performed by the Schola Cantorum of St. Peter's Church in the Loop and the Kithara Trio, conducted by J. Michael Thompson and recorded for compact disc at Immanuel Lutheran Church, Chicago.